We live in a world of acronyms. The latest one for gear heads is ECI. For this story, it doesn’t stand for the Economic Complexity Index, Early Childhood Intervention, or even the Election Commission of India. For gear heads, ECI is the acronym for K&N’s new Electronic Carburetor Injection. Let’s take a look at how it works. The concept of using electronic feedback with a carburetor isn’t really new. Back in the ugly ‘80s, domestic production engines were still using carburetors. 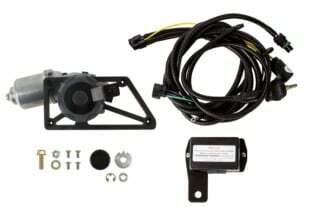 GM used an electronic solenoid on a Quadrajet carburetor that was tied to a narrow-band oxygen sensor which monitored the air/fuel ratio and adjusted the pulse-width of the solenoid to either add or reduce fuel. This was a fuel system that paralleled the carburetor’s primary metering circuit. K&N has adopted this simple, yet effective, idea by placing a single electronic fuel injector in a spacer plate located under the carburetor. This injector is connected to a small ECU that receives air/fuel ratio feedback from a wide-band oxygen sensor located in the exhaust. From this feedback, the system can adjust how much fuel is delivered by the injector. That’s the overview, but there are some individual parts that deserve a closer look. The kit comes with an ECU, injector, plate, gaskets, mounting hardware, wiring, and the O2 sensor. This particular kit is for a Holley or Edelbrock mounting flange, but there are also specific kits for Dominator and Rochester Q-jet flanges. This ECI system is designed using a single, late-model GM fuel injector in the plate. But since the fuel delivery system is designed for a carburetor, the injector flows much less because the fuel pressure is only around 5 psi compared to its originally intended 58 psi. We researched this injector, discovering it flows 36 pounds of fuel per hour (lbs/hr) at 58 psi. We don’t know exactly what this would flow at 5 to 6 psi but assuming the carburetor fuel pressure is 10 percent of 58 psi, this could mean the injector would flow about 10 percent of 36 lbs/hr – or roughly 4 lbs/hr. Let’s take a look at how this could benefit a carbureted engine. A typical performance street engine could be equipped with a 750 cfm HP-style Holley carburetor not equipped with a choke housing so there’s no provision for cold start enrichment. Many enthusiasts will offer that their carburetor works fine because the engine will idle nicely when the engine is cold. Unfortunately, what this really means is when the engine achieves normal operating temperature the idle will actually be excessively rich. We’ve seen engines idling at 12.0:1 (or richer) air/fuel ratio all too often. Installing the K&N spacer plate on this small-block Ford engine was pretty simple, especially since the engine was already using a four-hole carb spacer for linkage clearance. Note how the injector at the rear of the plate just barely clears the vacuum tap in the manifold. Hypothetically, let’s assume the ideal idle mixture air/fuel ratio (AFR) for our small-block would be 13.8:1 with the engine at its normal operating temperature of 180-degrees F. Now, let’s adjust the idle mixture so the engine runs at a half-ratio leaner – or 14.3:1 AFR. With the K&N ECI system installed, we can command an idle air/fuel ratio of 13.8 and allow the fuel injector to richen the mixture with a small amount of fuel. The Bosch wide-band oxygen sensor constantly monitors the AFR from the exhaust and will command the ECI to adjust the AFR to the commanded number. When this engine is cold, with the carburetor adjusted lean (and no ECI), the engine will not want to idle until the engine begins to warm up. But with ECI, the O2 sensor will see the engine is running lean when it’s cold and will command additional fuel from the injector to richen the AFR to allow the engine to idle. Then as the engine temperature gets closer to normal, more of the fuel will vaporize, the air/fuel mixture will become slightly richer and the ECI will reduce the amount of fuel added to maintain that commanded AFR. On this small-block Ford, there’s room on the driver side of the engine compartment for the compact ECU, or it could also be mounted inside the driver’s compartment. It’s also possible this system could be used as a part-throttle feedback system for keeping the engine at a lean AFR for highway cruising. Many enthusiasts don’t realize that mild street engines generally operate with very low throttle openings at highway speeds. This often requires only 20- to perhaps 30-flywheel horsepower to push the car down the highway. Because of this, at highway speeds most carburetors pull a majority of their fuel from the idle circuit. So if a smart tuner was to slightly lean out the idle-feed restrictor in the carburetor, this would make the engine run lean at part throttle. Then, he could use the ECI to supply the additional fuel required, so the engine would be operating with a feedback system as it runs down the highway – much like an EFI system. The ECI would constantly monitor the AFR with the O2 sensor and adjust the amount of fuel delivered to maintain the desired AFR. The only challenging part of the installation is welding the supplied injector-mounting bung in the exhaust. A local muffler shop can easily handle this if you don’t have a welder. It’s critical there are no air leaks in the exhaust for this to work properly. 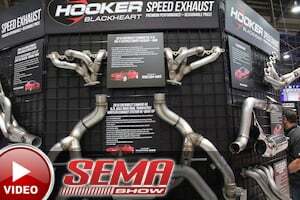 If planned ahead, many headers now come with O2 sensor bungs in place. 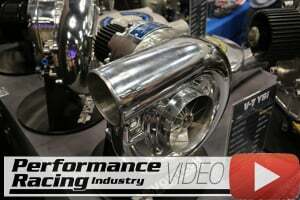 K&N’s marketing approach for the ECI is aimed at improving the cold-start ability of a carbureted engine with a lean idle circuit and no choke system. While this works well, we think this system could easily be expanded to include light-throttle, low-rpm operation as well. 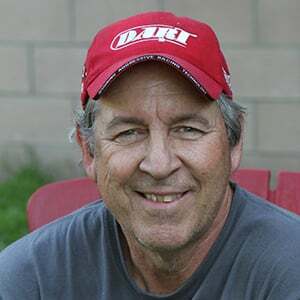 It’s important to emphasize the K&N system will only operate on a feedback system that adds fuel – it cannot take it away. So as we’ve illustrated, this would require some minor carburetor tuning which involves leaning the idle circuit slightly. This allows the K&N system to add only the amount of fuel needed to achieve the commanded AFR. We bolted the carburetor back in place and will then T-into the existing fuel line after the filter and the mechanical part of this install will be complete. By leaning out the carburetor idle circuit, the ECI added the additional fuel and allowed us to set the idle much leaner for a better part-throttle cruise. There is a small amount of wiring necessary to make this system work, but it is pretty simple. 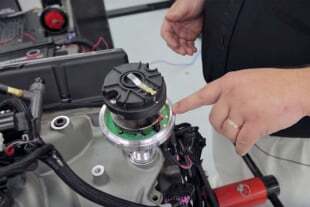 The main connections besides hooking the ECU, O2 sensor, and injector harnesses together is you will need an RPM signal, a switched 12-volt connection, and a good ground. The tach or RPM signal would be the negative side of the coil on an old points system, but on an engine with an MSD capacitive discharge (CD) system, the RPM signal should be connected to the gray wire coming from an MSD 6AL box, for example. This screen capture shows the simple inputs necessary to make the system operational. The maximum RPM input is the highest engine speed desired where the ECI will operate. If you want the ECI to perform feedback AFR control at highway cruise, then set your peak RPM to just above its highway cruise RPM. In this case, we chose 2,000 rpm. A worthwhile option would be to connect the ECI to a temperature sensor, which you will have to purchase separately. The advantage to this is it adds additional cold-start information. One of the facets of this system is it offers a short squirt of fuel when the key is first switched on and the engine temperature is cold. This means you don’t have to hit the throttle when the engine is cold because the ECI will do it for you, much like an EFI engine during cold start. But, this also means you should disconnect the system when doing diagnostic work. Otherwise, every time the key is turned on the system will squirt fuel into the manifold and could flood the engine. This could be another typical installation. 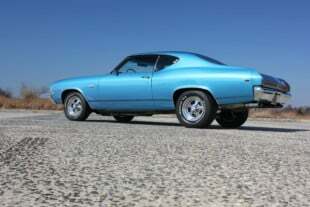 This big-block uses a Holley 850 cfm HP style carburetor with no provision for a choke. The idle circuit was modified to lean the mixture and the owner complained that this made the engine very cold blooded. He had to manually maintain throttle for as long as 2 minutes until the engine would idle on its own. With the ECI, the injector would compensate for the lean mixture and the engine would idle nicely when cold because the ECI would add additional fuel until the engine warmed up. We’ve just touched on the basics of this system. 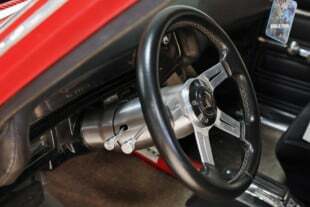 If the idea of an affordable idle and highway cruise air/fuel ratio feedback system sounds like a good idea, then there might be a spot for this system on your next hot rod adventure. It’s all about having fun with your car – and if the engine starts and runs better – likely that will mean you’re having more fun! K&N demonstrated a complete installation on this small-block Nova that idled nicely after a cold start and reduced fuel to the engine as it warmed up. The stoichiometric AFR is the chemically balanced number for ideal combustion. Notice we have listed two stoichiometric numbers for gasoline. Pure gasoline (without ethanol) is 14.7:1 but nearly all gasoline sold today is blended with 10-percent ethanol, making the stoichiometric number 14.1:1. This is not a major difference but it’s worth noting.